Who am I? Why am I here? What is the meaning of life? A true story of the quest to know. This book is not about answers. It is about the power hidden behind questions that have haunted people since the beginning of time. The Silent Questions begins with a life-altering dream experience, followed by a series of unexplainable events that propel the author into a quest for truth. 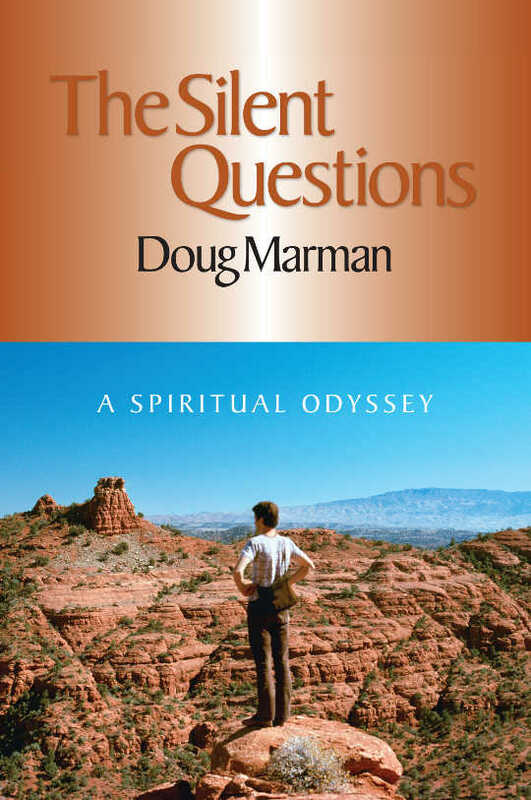 Drawn on by the need to know, Doug sets out on an adventure that carries him into personal experiences with death, out-of-body travels into other dimensions of consciousness and meetings with spiritual masters. He looks behind the masks of God and sees a reality subtler than he ever imagined. Over and over, just when he is ready to declare victory with his discoveries, along come new realizations that shake the foundation of everything he knows. This personal, first-hand account spans more than forty years, showing how every aspect of life is changed for those who cannot resist the call of the silent questions. There are questions that haunt my life, and when these questions arise they come quickly like a cliff’s edge suddenly before me; and I must stop to say: Whoa! Where am I going? Yet sometimes they surface during trying times of great futility when life spreads out like a vast barren desert. I look through the stifling heat waves to the endless horizons and ask: Why am I here? They are somehow there in my moments of success when all other things have been forgotten and they make me wonder. They come like a vigilant shadow to weep with me when my world looks forlorn and empty. They slip through the meanings of my dreams and shape them. What lies beyond death? What is the meaning of life? These are questions I do not look for nor ask out of a curious whim. In fact, I am uneasy in their presence. But . . .Who am I? . . .They make me stop and look and listen, like that great humming sound we call silence. Why must these questions do this? Why must they make me stop and wonder? I do not know. Yet I do know that somehow I must ask them. Perhaps it is my quest to ask. What is the purpose of my life? Somehow these have become the most important questions of my life, and only my life can be their answer. These were some notes I wrote in a journal some 25 years ago after my search had begun in earnest. I sensed that I was involved in something significant, but I could not explain what it was. It somehow defied being reduced down into words. It was almost as if I had discovered that it was not I who was asking these questions at all, but that life itself was the asker and my life was somehow the answer. It was at this point I began to see a great truth: Trying to solve the silent questions, trying to figure them out was the wrong approach. I had searched through volumes of books in science, philosophy and religion. I had read hundreds of theories and beliefs, but I finally saw that I had been looking in all the wrong places. These teachings were not giving me real answers. They were more like trumpets blaring great sounding concepts, but such noise only drowned out the silent questions. It now seems to me as if most people try to bury these questions in a thousand different ways because the inner call is too unsettling. Like many others, I started looking for a new world view, a new belief system, because I thought that would be my answer. But in fact the silent questions came not to offer an answer, but to shake my world and my beliefs. I am from DRC. I like very much ur book: the silence question so can you translate in french please. I keep quiet when I discover this book. I am one thousands men to ask myself those question: Who am I, what is mean live…thanks for your favor you give humanity. Gaston, thank you for your kind words. We might live far away from each other on this planet, but we are close together when it comes to these questions. I also feel the silence, and a sense of quiet comes to me, when these questions arise. They open doors for me, to the deepest secrets of life. Translating the book into French is a good idea. I don’t speak French, so I can’t do the translation, but if anyone else is interested in translating the book, let me know.